William Addison Dwiggins, ca. 1941. Photograph by Robert Yarnall Richie. Collection of the Boston Public Library. Thank twentieth-century American polymath William Addison Dwiggins (1880-1956) for coining the term “graphic design” back in 1922 which he used to describe his contributions in the fields of book design, typography, lettering, and even puppetry, and the term has stuck to the profession ever since. Now, San-Francisco-based nonprofit Letterform Archive and author-designer Bruce Kennett have put the final touches on a forthcoming biography of Dwiggins and his career. This book is the first of many projected design-focused publications for Letterform which hopes such endeavors will help promote the history and beauty of letterforms in graphic design. To fund publication, Letterform launched a Kickstarter campaign on March 27, 2017, and within two days had surpassed its $50,000 goal, though fundraising continues in order to raise further awareness about Dwiggins and his work. W. A. Dwiggins, detail. (Boston: W. A. Dwiggins and L. B Siegfried, 1919). Collection of Letterform Archive. W.A. Dwiggins: A Life in Design focuses on Dwiggins’ contributions to graphic design while also exploring his mastery of seemingly disparate art forms--in addition to designing roughly 300 book covers for publisher Alfred A. Knopf and creating Electra and Caledonia, two widely used typefaces, Dwiggins was a puppet master. His collection of marionettes--along with Dwiggins-designed books, broadsides, and furniture--were donated to the Boston Public Library in 1967 and represent his zealous attention to detail while crafting whimsical wooden playthings. 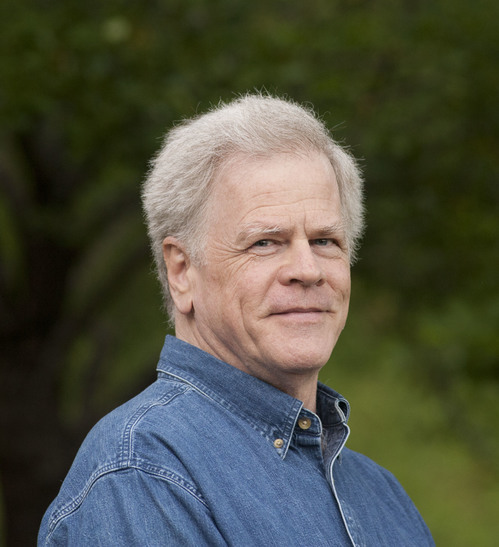 Bruce Kennett. Used with permission from Letterform Archives. Surprisingly, despite his wide-ranging influence that continues to resonate in the graphic design community, Dwiggins has not been the subject of a comprehensive biographical treatment until now. Good things take time: in an effort to remedy the omission, Kennett has spent decades studying Dwiggins, and in his treatment explores the success of a designer in both the artistic and commercial fields of printmaking and design who didn’t sacrifice his unique aesthetic. the Forest (New York: Press of the Woolly Whale, 1936). Collection of Letterform Archive. The Kickstarter campaign ends on April 28, and like most publicly funded endeavors, there’s swag involved: backers at the $25 level or more receive goodies ranging from Dwiggins-designed postcards, a commercial license for digital versions of Electra fonts, while $95 gets you a copy of the book. High rollers ($5,000 and up) can expect a book, Linotype slugs used to print the letterpress portfolio, and a private dinner at Letterform’s San Francisco headquarters (transportation not included). 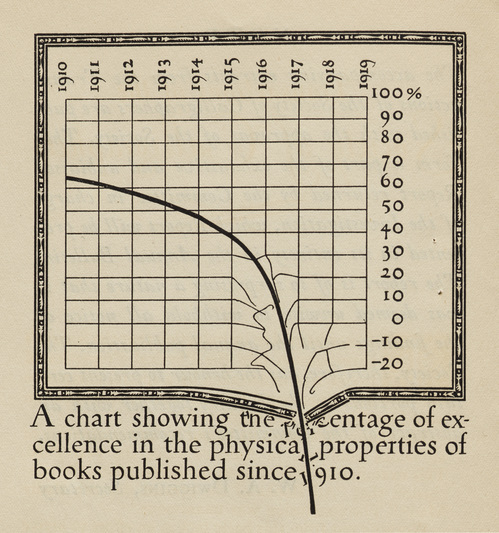 Thank twentieth-century American polymath William Addison Dwiggins (1880-1956) for coining the term "graphic design" back in 1922 which he used to describe his contributions in the fields of book design, typography, lettering, and even puppetry, and the term has stuck to the profession ever since. 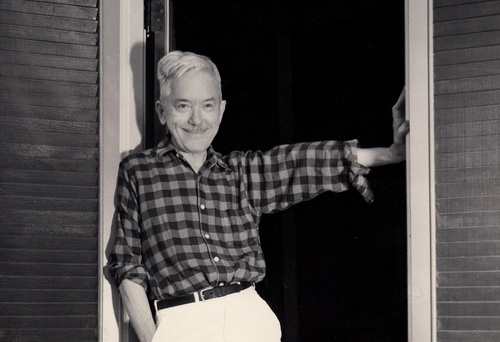 Now, San-Francisco-based nonprofit Letterform Archive and author-designer Bruce Kennett have put the final touches on a forthcoming biography of Dwiggins and his career. This book is the first of many projected design-focused publications for Letterform which hopes such endeavors will help promote the history and beauty of letterforms in graphic design. To fund publication, Letterform launched a Kickstarter campaign on March 27, 2017, and within two days had surpassed its $50,000 goal, though fundraising continues in order to raise further awareness about Dwiggins and his work. W.A. Dwiggins: A Life in Design focuses on Dwiggins' contributions to graphic design while also exploring his mastery of seemingly disparate art forms--in addition to designing roughly 300 book covers for publisher Alfred A. Knopf and creating Electra and Caledonia, two widely used typefaces, Dwiggins was a puppet master. His collection of marionettes--along with Dwiggins-designed books, broadsides, and furniture--were donated to the Boston Public Library in 1967 and represent his zealous attention to detail while crafting whimsical wooden playthings. 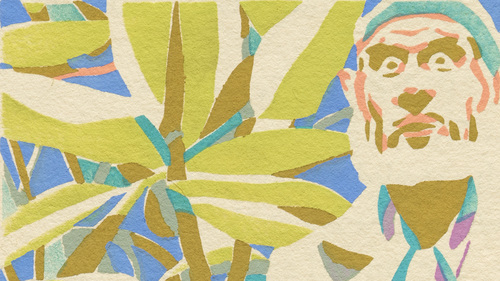 Surprisingly, despite his wide-ranging influence that continues to resonate in the graphic design community, Dwiggins has not been the subject of a comprehensive biographical treatment until now. Good things take time: in an effort to remedy the omission, Kennett has spent decades studying Dwiggins, and in his treatment explores the success of a designer in both the artistic and commercial fields of printmaking and design who didn't sacrifice his unique aesthetic. The Kickstarter campaign ends on April 28, and like most publicly funded endeavors, there's swag involved: backers at the $25 level or more receive goodies ranging from Dwiggins-designed postcards, a commercial license for digital versions of Electra fonts, while $95 gets you a copy of the book. High rollers ($5,000 and up) can expect a book, Linotype slugs used to print the letterpress portfolio, and a private dinner at Letterform's San Francisco headquarters (transportation not included).